Just because you're not wearing sandals for six months doesn't mean you can just forget about them. Ironically enough, there are a whole lot of, well, let's call them speed bumps, in the pursuit of beauty that are actually pretty gross. Raise your hand, for example, if you've found yourself fascinated by a blackhead-filled pore strip. Or have ever been tempted to ask a facialist to see the remnants of everything she just proceeded to squeeze out of your face. Even sweating in a sauna! There's just something deeply satisfying about the entire process. Which brings us to the subject of feet. "To keep your feet looking and feeling great, I recommend exfoliating twice a week. You can also use a foot file for the soles. Use one side of the file for each foot to avoid spreading any problems that you might have from one foot to the other." "A foot file and a three-way buffer. 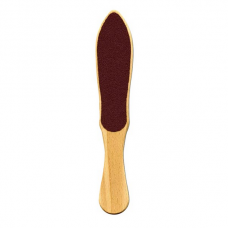 Use the foot file with cream after shower to keep calluses away. 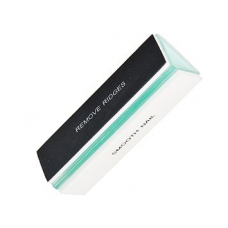 The three-way buffer is a great way to remove superficial dry nails and give your nails a healthy natural look. As for products, I recommend having a cuticle softener to moisturize cuticles before pushing them back. I also love moisturizing gel socks, especially for winter. 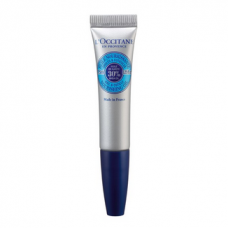 They have a gel lining enriched with vitamins and essential oils that restores skin’s appearance. They are also washable and reusable! Wear them every day for about an hour." IX. Use a three way buffer on your nails. It will give them a natural shine and look. "A pedicure doesn’t necessarily require water. By using a good foot cream with urea, it is not necessary to use water or soak your feet. Not every dry skin is callus. 90% of the time, cracked heels are actually a medical condition (athlete's foot), which should be treated with proper medical creams. Pome stone holds an incredible amount of bacteria inside its pores (holes). Keep them away!" "I know this is hard, but high heels should be avoided to help maintain healthy feet. They put too much pressure on the toes and can cause hammertoes. I also do not recommend walking barefoot because of the risk of skin infections, such as athlete’s foot and plantar warts. Besides, there is not enough “cushion” to support your body. And for those who wear sneakers, I recommend changing the insoles every 6 months—again, we need that cushion to support our body!" 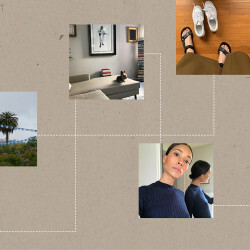 "If you want to always keep your feet feeling their best, [get a professional pedicure] every two weeks." "If you get the right pedicure, you do not need to do any work in between pedicures. However, if you have dry feet, it's best to scrub every other day to keep them soft." "My favorite tool is my ceramic pedi shaper. Every women should invest in a ceramic shaper." VIII. 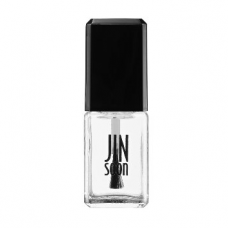 Topcoat and you are all set! "My absolute favorite is Sparitual's 'I Feel the Earth Move'. It's a great darker shade of red that you can wear from the fall into the winter!" 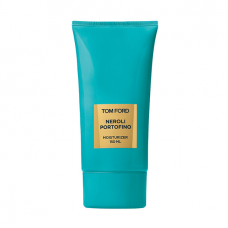 "Use a soft scrub on your feet and couple with an intense moisturizer, such as Tom Ford Neroli." "I think that using any tool can bring negative results. 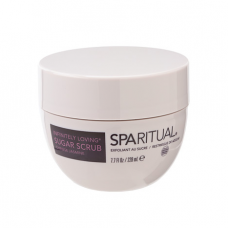 Practice using a soft scrub with a moisturizer and you will be good to go." "I recommend that you give yourself an at-home pedicure in between your regularly scheduled pedicures. It is best to leave the toenail and cuticle trimming to the professionals." 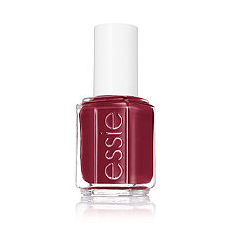 "My favorite polish shades at the moment are from Essie's new 2014 Fall Collection. 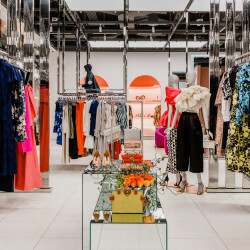 The shades include: Dress To Kilt, Take It Outside, Fall In Line, The Perfect Cover Up, Style Cartel and Partner In Crime." "The easiest, most effective thing women can do between professional pedicures is to scrub their soles with a pumice stone while taking a shower, and to moisturize their feet after taking a shower and before going to sleep." "I love electric callus devices that can be used on dry feet—they are so easy to use and don't even require soaking your feet or using any strength. 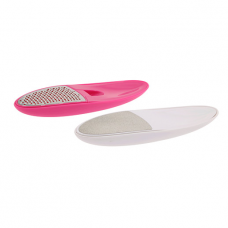 I also like the Tweezerman metal foot file which works fast and the JINsoon natural foot pumice stone for daily maintenance in the shower." "Many people assume that it's okay to soak your feet in your local nail salon foot bath, but it's not if the bath has jets that circulate water. It is all but impossible to sterilize the water that resides beyond the bowl because the tubing harbors bacteria that simply can't be reached to be properly sterilized." 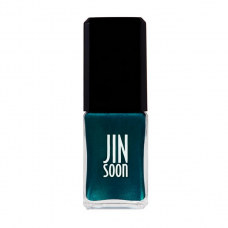 "I love subtle metallic turquoise shades like JINsoon Heirloom—it gives your toe nails an extra special glow."